The Senior Carpet Carpet solves your carpet and padding moving problems and has an impressive 1,340 lb. load capacity. The full size frame gives the best support for carpet that wants to ‘break over'. Measures 21-1/2" wide x 61" long x 18" high. Weighs 42 lbs. These carts solve your carpet and padding moving problems. All have 16" diameter tubeless pneumatic tires for easy rolling over curbs, steps or gravel drives. 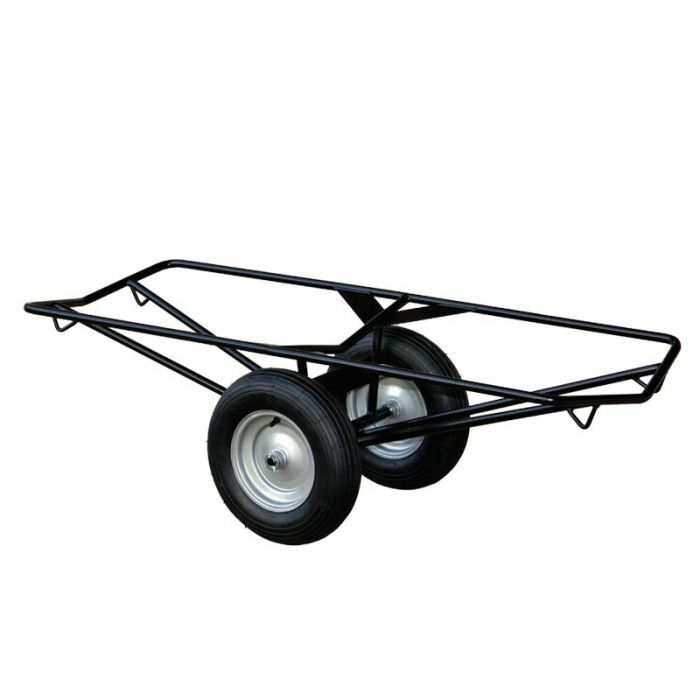 Made from heavy gauge tubular steel, the carts have all welded construction for long life. The frame design has no end projections which can cause wall damage, cut into carpet, or require crutch tips that can be lost. Cart has a 1,340 lb. capacity, based on tire rating. Full size frame gives best support for carpet that wants to ‘break over'. Measures 21-1/2" wide x 61" long x 18" high. Weighs 42 lbs.